Cold and flu season is sweeping the country. Prepare yourself with the Best Natural Remedies for Colds and Flu to help boost your immune system. 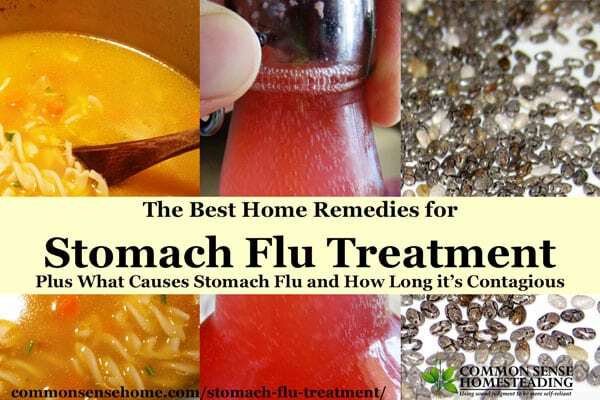 Here's a round up of posts from the Common Sense Home website that are focused on prevention and treatment of colds and flu. 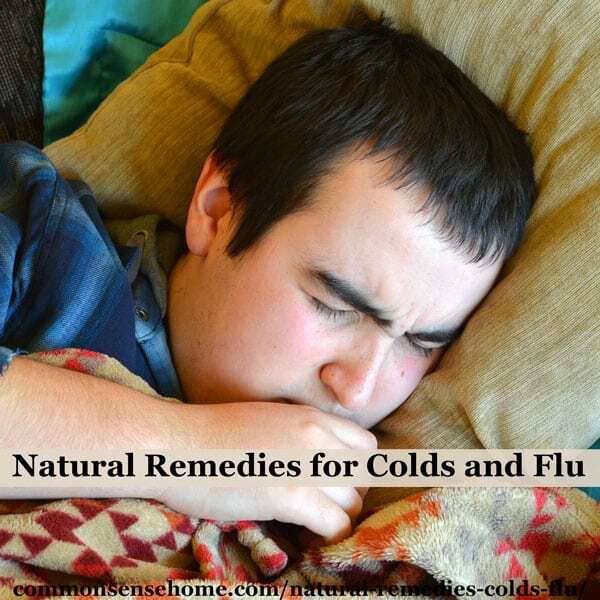 There are also home remedies for specific symptoms such as earaches, sore throat, cough, and congestion. 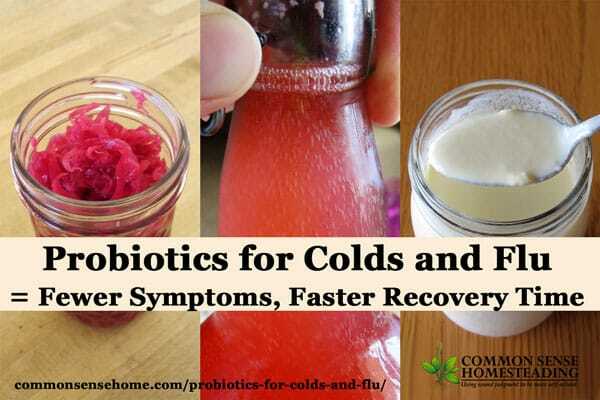 Probiotics for Colds and Flu – Fewer Symptoms, Faster Recovery Time explains what probiotics (friendly bacteria) are and how they work. We'll share scientific studies that prove their effectiveness against cold and flu symptoms. 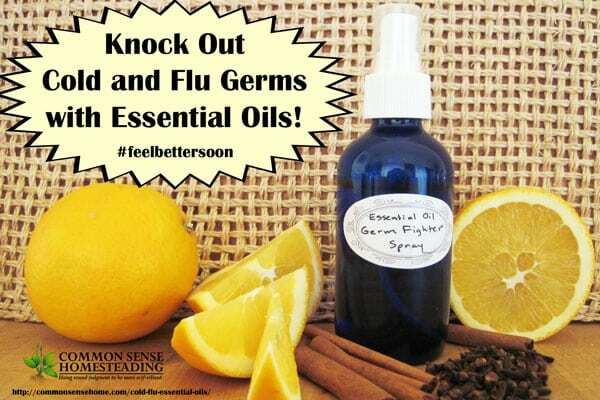 Knock Out Cold and Flu Germs with Essential Oils explains what essential oil are and how to use them to boost your immune system and eliminate toxins. You need to check out the easy recipe for a room spritz that busts bacteria. 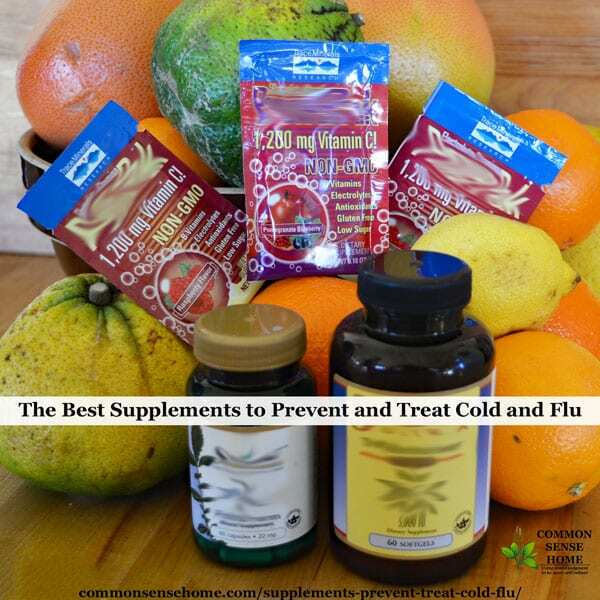 In “The Best Supplements to Prevent and Treat Cold and Flu“, we'll talk about some of the most effective supplements to prevent and treat cold and flu – vitamin C, vitamin D and zinc. 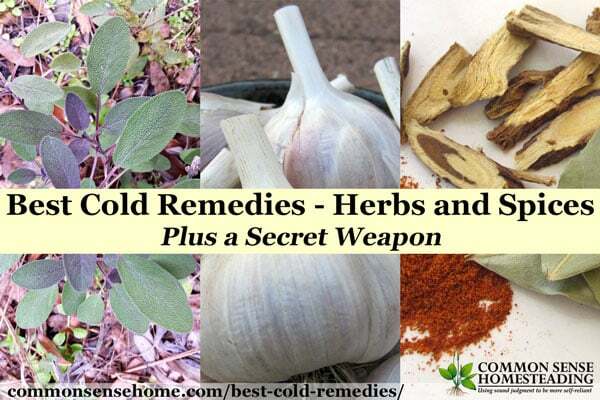 Best Cold Remedies – Herbs and Spices – Plus a Secret Weapon – Find out which herbs and spices are antibacterial and antiviral. Learn to make a simple cold and flu tea. Read which “secret weapon” reduced MRSA bacteria by one third. Sniffly, sneezy, achy? Surrounded by respiratory ailments of one kind or another? Never fear, help is on the way! This time of year it seems that almost everyone is sick, but there are simple ways to reduce the risk of illness in your household and speed healing if you do get sick. 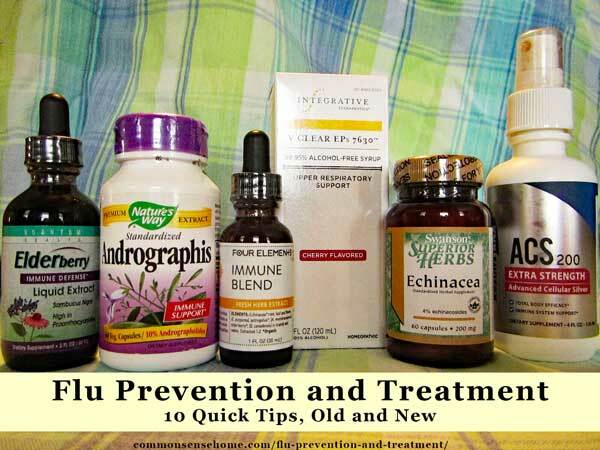 Here are 10 tips for natural flu prevention and treatment. Bananas, Rice, Applesauce and Toast (the BRAT diet) may not speed your recovery. 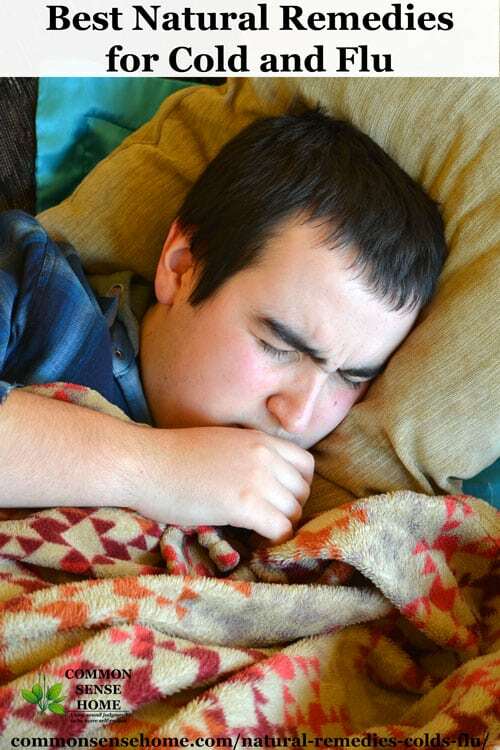 We'll look over the common causes of stomach flu symptoms, and better choices to sooth your sore belly and get you back on your feet. While your body fights off the bad bugs, get relief from common cold and flu symptoms with these home remedies. 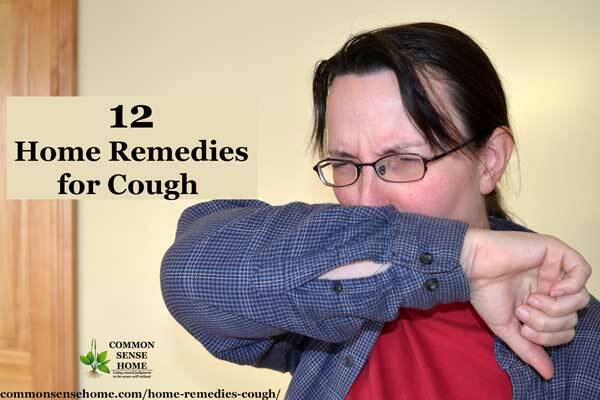 12 Home Remedies for Coughs to Help Quiet and Soothe – A range of remedies, including several suitable for children, to help treat your cough. 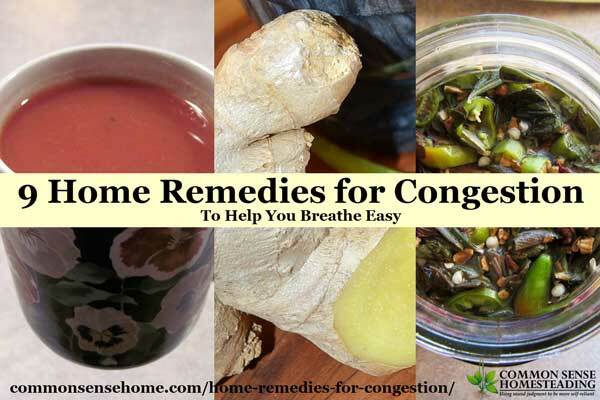 9 Home Remedies for Congestion to Help You Breathe Easy – Home remedies for congestion to relieve your stuffy nose and sinus pressure so you can breathe easy. I don’t like the side effects of over the counter decongestants. They make me jittery, knock me out or make my head feel like a raisin. Natural decongestants are my option of choice. 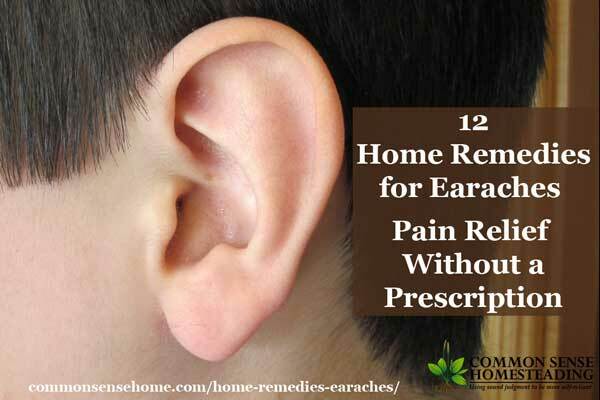 12 Home Remedies for Earaches – Ear Pain Relief for Kids and Adults – Winter weather and the accompanying coughs and sniffles can all too often lead to ear pain and ear infections. I’ve put together a list of home remedies for earaches to help soothe aching ears. 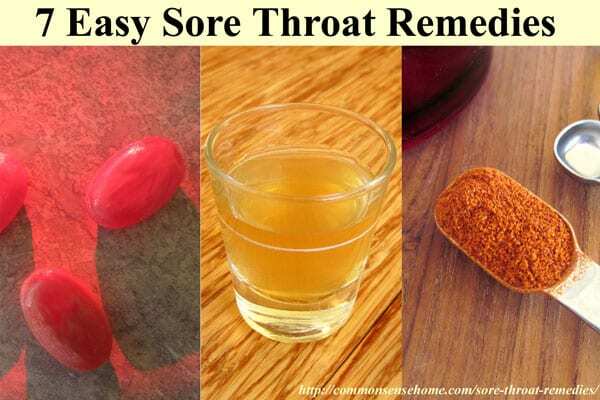 7 Easy Sore Throat Remedies – Cough and Sore throat remedies don’t have to come from the drugstore. Quick and easy relief may be right in your pantry. Sometimes sore throat pain is just caused by winter dry air; sometimes it’s linked to a cold, flu or other virus. Whatever the cause, these home remedies can help relieve throat pain and speed healing. 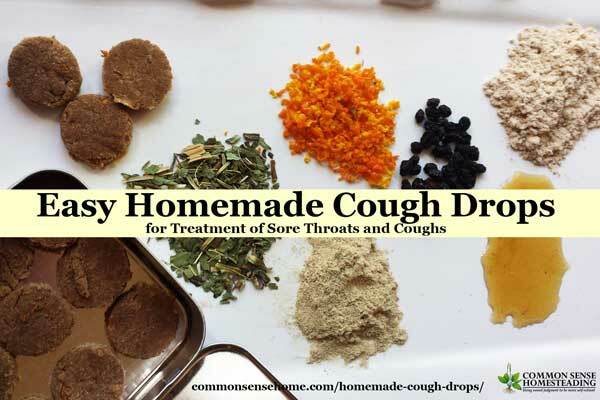 Make your own homemade cough drops and avoid toxic over the counter (OTC) medicines. There's a simple recipes with basic pantry ingredients, and a more advanced option. You can make these easy, all-natural throat soothing cough lozenges in just a few minutes – without any special tools. 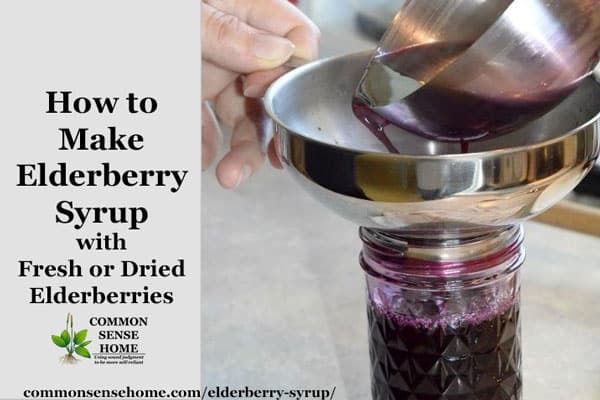 How to Make Elderberry Syrup with Fresh or Dried Elderberries – Learn how to make elderberry syrup with those fresh elderberries (or juice) and small batch of immune boosting elderberry syrup with dried elderberries. 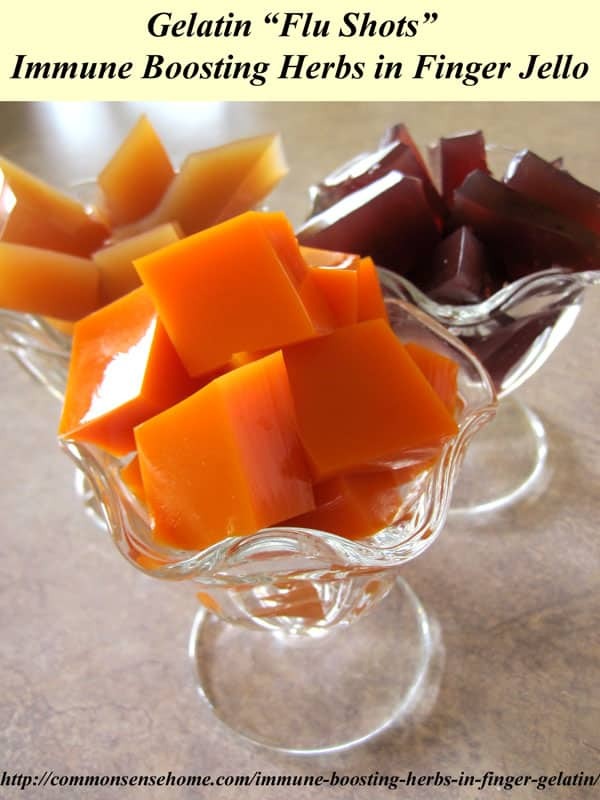 Immune Boosting Herbs in Finger Gelatin – Sometimes it's tough to get kids to take immune boosting herbal teas, so these recipes turn those teas into fun to eat finger gelatin. 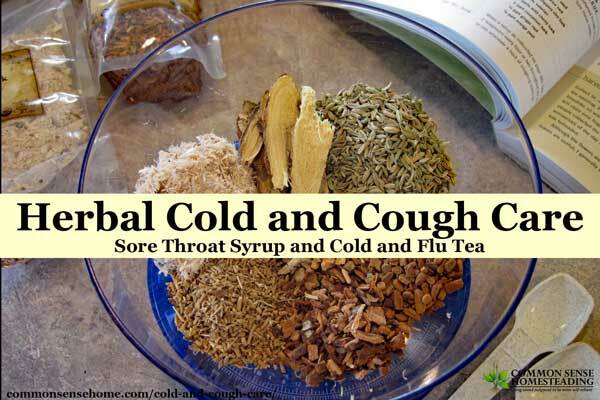 Herbal Cold and Cough Care – Sore Throat Syrup and Cold and Flu Tea – Two recipes loaded with herbs that help fight your toughest coughs and colds. For more home remedies, check out the full listing of natural health posts on the Home Remedies page. Originally published in 2012, updated in 2016, 2018. I love this post with all the great links. I am reading them all!! Thank you. Take a Grapefruit or Sour Orange and pour honey over the slices or just over the halved fruit. Eat it and within a couple days you are cured. My husband is Haitian and this is how they cured their colds growing up. Works Wonders! Also Honey Lemon/Orange Tea works well. Great post!! I’m happy to know more natural ways to battle sickness!! i have a 6 year old child complaining of an earache but wod not b able to attain chemist brought prescribed medicines till morn can you please suggest a quick way to relieve the pain for a child not to co operative ??? Try one of these options: Home Remedies for Earaches. I hope it helps. Please see a trained healthcare professional if symptoms are severe or persistent.